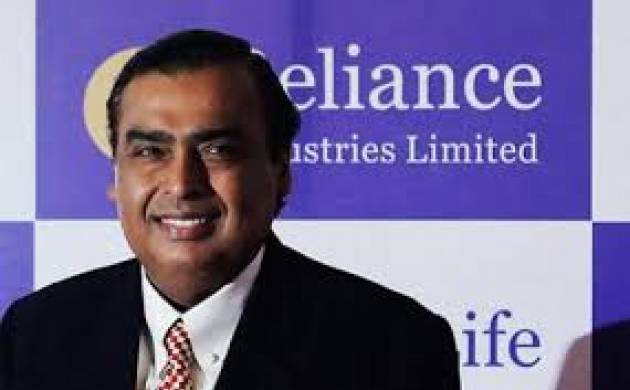 Mukesh Ambani on Tuesday said that Reliance Industries will complete investment of Rs 1.25 lakh crore in refinery and petrochemical expansion projects in Gujarat by March, exceeding commitments made by Rs 10,000 crore. Speaking at the 8th Vibrant Gujarat Global Summit, he described Prime Minister Narendra Modi as "a great transformative leader" who first transformed Gujarat and is now transforming India with a series of historic and visionary initiatives. "No leader in the world has changed the mindset and behavior of so many people in such a short period," he said as he went on to site examples of Swachh Bharat Abhiyan, Digital India, Make in India, Skill India and Start Up India initiatives. These initiatives, he said, have won the respect of the world and "no wonder this has resulted in India receiving its highest foreign direct investment (FDI) in recent times." Ambani said Reliance will exceed the commitment it made on investing in projects in the state by Rs 10,000 crore. "Our global scale of investment is an expression of our commitment and faith in the Gujarat story. Our cumulative investment in the state of Gujarat is over Rs 2,40,000 crore, that is over USD 45 billion. It is the biggest investment made by Indian corporate in a single state," he said. Of this, Reliance has invested more than Rs 1,25,000 crore in Gujarat in the past four years. "I am happy to report that we have invested Rs 10,000 crore more than what we had committed (in previous Vibrant Gujarat Summits)." "All these investments will be completed by March 2017. These investments provide sustained employment, both direct and indirect, to over 2 lakh people and contribute to Gujarat's export competitiveness," he said. Talking about his group's recently launched high-speed 4G broadband and mobile network under Jio brand, he said in 2014-15, only 35 per cent of Gujarat's population had access to 3G network. "But today, more than 90 per cent of the state population is covered by Jio and by Diwali, 100 per cent of the state will be covered," he said. "I am proud to say that Gujarat is the first state in India to cross the 50-lakh subscriber mark in Jio in less than 90 days. It proves that innovation in India always takes off from this great state." In the coming year, Jio will connect lakhs of merchants and shops to create a commerce and payment network to support Prime Minister's cash-less digital vision, he said.